The Global Orphan Crisis stretches across the world, affecting a staggering number of children. Some are orphaned (having lost at least one parent), some are displaced and others are at-risk, living in volatile home environments. They lack access to basic health needs, a good education and, most of all, a loving family to help them grow into their God-given potential. Since 2009, we’ve been supporting people who are committed to helping children. Our story started with just 30 child sponsorships in Ethiopia. Since then, we’ve traveled further around the world (including into our own backyard) and discovered how everyone has a part to play in the story of orphan care. 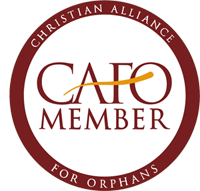 We now work with numerous families, churches, agencies, volunteers and donors of all kinds, partnering with them in providing adoption grants; support for adoptive, foster and Safe families; church mobilization; global orphan care and advocacy. © Love Made Visible 2018. All rights reserved.